Like everyone else who uses Hillsborough Road, I'm getting concerned about the time taken to release details of the corridor study and masterplan for improvements. Results of the study were supposed to be released late last year. The RMS has informed me that pedestrian lights, near the area where Jade Frith was killed almost two years ago, will be installed by June 30. As for the full corridor study which takes in the rest of Hillsborough Road and dangerous intersections such as Crockett Street, Chadwick Street and the Macquarie Road roundabout, I'm still being told "later this year". Mr GREG PIPE R ( Lake Macquarie ) ( 17:49 ): I will update the House about the situation regarding Hillsborough Road, a main arterial road that forms a large part of the boundary between my electorate of Lake Macquarie and the electorate of Charlestown. It is an extremely busy road, and one which I and the member for Charlestown have spoken about a number of times. It has been earmarked for widening and improvements for many years. In fact, this House debated a petition in June 2016 in which more than 15,000 people called for urgent action. The road has several dangerous and busy intersections that have claimed lives. The road remains of considerable concern to everyone who uses it, myself included. The member for Charlestown and I are of the same mind when we say that an upgrade to Hillsborough Road has been too long on the backburner. I first need to reflect on the death of Jade Frith, who was killed almost two years ago while trying to cross Hillsborough Road. Jade's death was tragic and brought into sharp focus the need to upgrade a section of road that has been problematic for many years. It is becoming increasingly so with increased traffic and more businesses located along its length. Jade was a promising local swimmer. She was struck by a car—through no fault of the driver, I hasten to add—while attempting to cross this busy road. At the time of Jade's death, Roads and Maritime Services [RMS] was in the planning phase of improvements to Hillsborough Road. Recommendations on how to improve this road corridor were to be produced later in 2016. 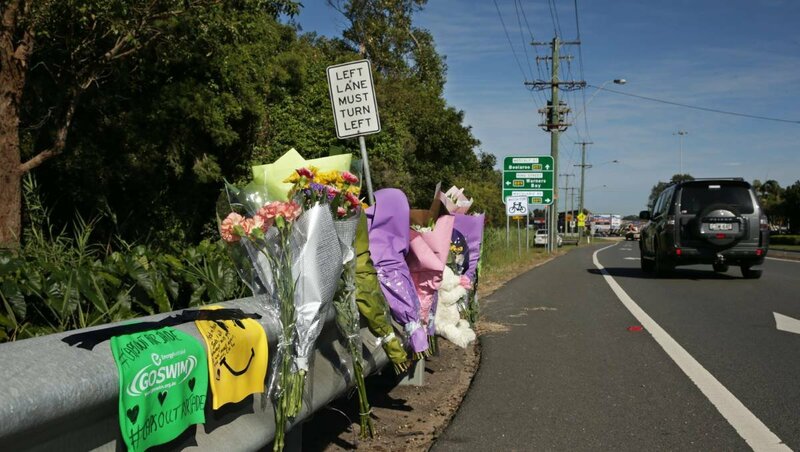 Following Jade's death it is true that some measures were taken to improve pedestrian safety in the vicinity of that accident, and that has certainly improved things to some extent by lessening the temptation for people to cross where there is no pedestrian refuge or traffic lights. I am pleased that late last year the Government also provided $1 million for a new set of pedestrian traffic lights approximately 100 metres east of the major roundabout at the Hillsborough and Macquarie roads intersection. Roads and Maritime Services have informed me that it is on track to be installed before 30 June this year. That is a good thing. … currently reviewing the strategy for the road corridor for Charlestown to Warners Bay which identifies short, medium and long-term road investment priorities to address safety, travel times, reliability and incident management challenges. I expect that we will have that corridor strategy released by the end of this year. Unfortunately, that time frame has not been met. We are still waiting on details of that corridor study. The section of road where Jade was killed is not the only part of Hillsborough Road where fatalities have occurred. The bigger picture includes the intersection with Crockett Street, which is equally dangerous, especially for any of my constituents in Cardiff South who need to turn right out of Crockett Street or from other smaller streets further east near the dog showgrounds at Hillsborough. People are becoming very concerned about the status of the Hillsborough Road improvements. Maybe planning is much more advanced than the local members or the community are aware, but either way we would all appreciate more information on a timely basis from Roads and Maritime Services. I know that improvements to that road will be expensive but the cost will not decrease with waiting—it will only get worse, as will congestion, frustration and risk to road users. I appreciate that RMS will soon install pedestrian lights. However, after Jade was tragically killed we had hoped for a relatively fast response to the overall problem. This has not happened and I suspect the main reason is funding. I therefore call on the Government to allocate funding to RMS to allow it to get on with improving this vitally important section of road.